Rwanda contains a remarkable diversity of habitat hence a prolific birdlife. Two major phytochoria occur; the Afromontane region between 1,800 m and 4,500 m and the Lake Victoria regional mosaic below 1,800 m, which, in Rwanda, includes elements of Guineo–Congolian and Sudanian vegetation. Most of Rwanda’s forests lie in the Afromontane region where they form part of the forests of the Albertine Rift, the flora, and fauna of which show a high degree of endemism. Until recently, there were four main montane forests in Rwanda, Nyungwe, Gishwati, Mukura and Volcans, located in the west of the country, where they effectively form the boundary between Guinea– Congo lowland rainforests of the DR Congo and the Lake Victoria far south-east where the vegetation is Acacia- and Combretumdominated woodland basin to the east. They are characterized by their high altitudes of 2,000 m on average, varying from 1,600 to 4,500 m and the clearings and dense understorey typical of montane forests. The savannas of the Lake Victoria regional mosaic occur mainly in the eastern part of Rwanda and comprise five distinct natural zones, known as Mutara, Buganza, Mubari-Migogo, Gisaka, and Bugesera. Levels of endemism are low, reflecting the transitional composition of the vegetation. Wetlands occupy almost 10% of the country. It is said that Rwanda is made up of a thousand hills, and between each of these there are small rivers and wetlands. There are three extensive areas of a swamp; Akanyaru on the border with Burundi, Mugesera– Rugwero in the south-east, and the Kagera swamps along the Tanzanian border in the east. Smaller swampy areas occur in the high valleys and in the form of many extensive bogs in the mountains and on the central plateau. Some 90% of the water of the country drains into the Nile Basin with only a small proportion flowing into the Congo River system. Many wetlands in Rwanda are under considerable pressure from agricultural expansion. Rwanda boasts a healthy bird Checklist of up to 680 species in comparison to its size of 26,328 km². The avifauna includes 17 species of global conservation concern. Five of these are non-breeding migrants, four from the Palearctic namely; Pallid Harrier, Lesser Kestrel, Great Snipe and Black-winged Pratincole while the fifth, Madagascar Squacco Heron, breeds in Madagascar. The breeding species include eight Albertine Rift endemics: Albertine Owlet, Dwarf Honeyguide, Neumann’s, Kivi Ground-Thrush, Red-collared Mountain-Babbler, Rockefeller’s Sunbird, Kungwe Apalis, Grauer’s Rush Warbler, and Shelley’s Crimsonwing. 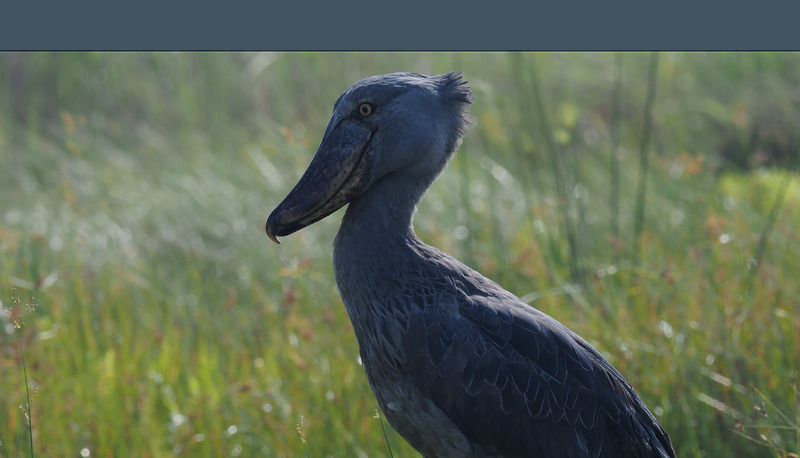 Of the remainder, two are species of papyrus swamps, Papyrus Gonolek and Papyrus Yellow Warbler, while the others are Shoebill Stork and Red-faced Barbet, both of which occur in the savanna–wetlands complex of Akagera. There are no birds endemic to Rwanda, but the montane forests and associated habitats hold 25 of the 37 species of Albertine Rift Mountains Endemic Bird Area. In addition, elements of Guinea–Congo Forests biome occur at lower altitudes in forests in the west, with 23 species known from Rwanda out of the out of the 278 species restricted to the biome. Much of the east of the country falls within the Lake Victoria Basin biome and 11 of its 12 species occur nationally. The montane forests of the Congo–Nile watershed hold at least 74 species of the Afrotropical Highlands biome; the presence of a number of other species is yet to be confirmed. Approximately 280 bird species are known from these forests; the majorities are found in Nyungwe Forest, the most important site for biodiversity conservation in Rwanda.